DISCLOSURE: I received a free copy of this book through NetGalley from the publisher, Atria Books, in exchange for an honest review. I’ve been known to have some really odd, very vivid dreams. 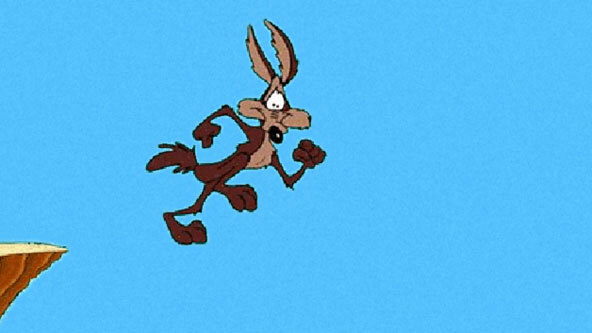 In one dream, which was entirely in cartoon form, I was Wile E. Coyote. Predictably, I spent the dream chasing after the Roadrunner. I raced after him around curves in dusty roads, following his signature “meep, meep.” I tried to set traps for him and watched as he escaped, feeling like he was taunting me with his speed and good nature. The dream ended when I ran off a cliff, legs bicycling on air, pausing dramatically before my imminent fall. Another time, on Christmas Eve when I was very young, I dreamt that I got up from my bed, walked halfway downstairs, and peered over the railing at the living room below. My parents were sound asleep on the pullout couch (my grandparents were visiting from out of town and staying in my parents’ room), right next to the Christmas tree. But they weren’t the only ones in the room. Standing next to the tree in his big red suit (cap and all) was . . . SANTA CLAUS. He stooped down and picked up my cat, Fluffy. I watched breathlessly as he stood there, petting her in the moonlit room. I was simultaneously elated and scared out of my mind. I scurried back to my room as silently as I could and went back to sleep, afraid that if he saw me, he wouldn’t leave me any presents. 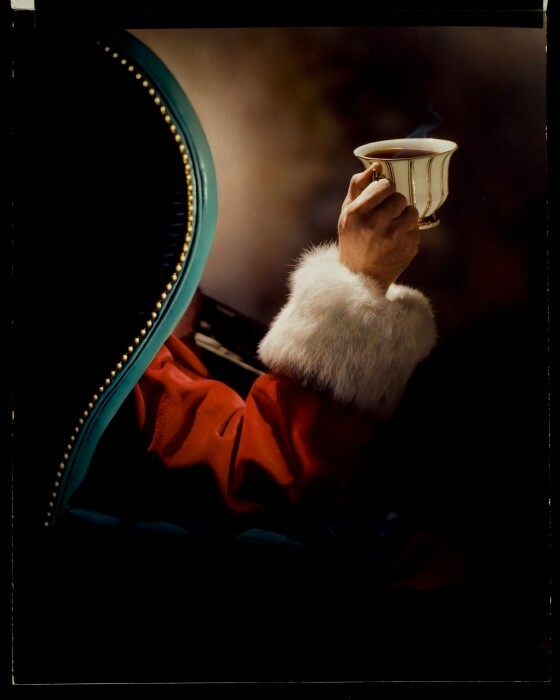 The dream was so incredibly vivid that, the next morning, I told my parents exactly what had happened (“I saw Santa Claus!! !”), believing it to have been 100% real (and, to this day, I’m actually not entirely convinced that it wasn’t). Real or not, it is one of my earliest and most vivid memories. Luckily, aside from the incredibly vivid dreams (and an occasional bizarre/nonsensical mumbling), my sleep habits are really quite normal . . . which would make me utterly inappropriate for the sleep studies conducted by Sylvie Patterson and her fellow researchers in Chloe Benjamin’s debut novel, The Anatomy of Dreams . We meet Sylvie, our first-person narrator, when she is a boarding-school student in Eureka, California, in 1998. She is a junior, and she’s falling in love for the first time. Gabe is short, mischievous, and vaguely Napoleonic (in fact, other students call him Napoleon in jest, but he accepts the moniker with pride). The two hang out together all the time (“Tucked between the redwood trees in the forest behind school, we traded stories: our secret plans (‘To be a physicist,’ I whispered, hot-cheeked), our childhood fears (‘Pill bugs,’ said Gabe), our families.”). But, before long, Gabe begins acting oddly, wandering around the backyard garden of their teacher, Mr. Keller, at night, and being vague and cagey when Sylvie asks questions. And then, one day, Gabe is gone. He has withdrawn from school without a word or farewell. A few years later, he returns as abruptly as he left, finding Sylvie at the end of her junior year at Berkeley. He has been doing research with their former teacher, Mr. Keller, at his new lab, and Mr. Keller needs another assistant. Their research is cutting edge and not yet widely accepted, so he needs someone he can trust. Gabe convinces Sylvie to withdraw from school and join them in their research. These aren’t your garden-variety sleep issues—sleep apnea, insomnia. The patients we see have disorders like somnambulism and RBD—that’s sleepwalking and REM behavior disorder, parasomnias that make them act out in their dreams. Most of us are physically paralyzed during REM sleep, but these patients aren’t, and there’s nothing more dangerous than a dreamer out of bed. They can attack their bedmates, trying to fight off intruders who aren’t there. Some have even jumped out of windows. These people are disturbed at a subconscious level. In order to assist people who are disturbed at a subconscious level, Keller, Gabe, and Sylvie attempt to “meet them there”—to assist them on the subconscious level. They teach them lucid-dreaming techniques to try to help them become aware that they are dreaming, to recognize that the situations are not real, and to control their impulses to react physically. 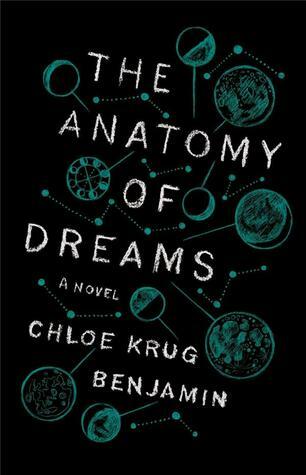 The Anatomy of Dreams is part mystery, part suspense, part love story. The book’s concept and the moral questions it raises (like, is it right to mess with the subconscious mind?) were certainly interesting. But the execution didn’t do them justice. The book took a LONG time to get going, and, at the beginning, I found myself bored frequently. Too many pages are dedicated to exposition without enough pay-off. Potentially poignant plot points are handled too vaguely. And the pace is further mired down by the book’s clunky split chronologies. A little less than two-thirds of the way through the book, things finally started to pick up, and I realized where the book was headed. Comparatively speaking, the last third of the book flies. It is far more interesting, exciting, and suspenseful than the rest of the book. But having to wade through so much to get there almost doesn’t seem worth it. Final assessment: great idea that fell far short of its potential. Who should read it: Do you keep a dream journal? Have you ever experienced violent tendencies in your sleep (kicking, lashing out, screaming)? Do you have conversations in your sleep that you don’t remember upon waking? Have you ever experienced a lucid dream? Are you a sleepwalker? If you answered yes to two or more of these questions, this may be a good book for you. GIVEAWAY REMINDER! Don’t forget: you can win a free copy of The Moment of Everything by Shelly King from the generous folks at Grand Central Publishing. All you have to do is leave a comment on my review of the book (here) by Wednesday, September 17, 2014. I will announce the winner in my blog post on Thursday morning, September 18. Good luck! This entry was posted in Rating: 2/5 and tagged Book review, Book Reviews, Books, Chloe Benjamin, Lucid dreaming, NetGalley, The Anatomy of Dreams. Bookmark the permalink. Thanks for the review! I’m almost done with my copy and will formulate my thoughts. The book’s description does make it sound more suspensful than what I’ve read so far: like two different books. It’s not bad, but not what I was expecting, either. I look forward to reading your review once you’ve finished it. I agree that it’s not bad, per se, but it was certainly a disappointment based on its description. I agree! It had so much potential. Alas . . .